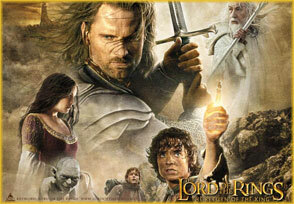 Lord of the Ring (LOTR) became the biggest phenomenon of all time. Spanning three full length motion pictures with great special effect, great captivating story and rememorable characters. Toybiz Toys released some of the most amazing, articulated, replica of the characters from movie. The Trilogy series is a completely new line of 6-Inch action figures from Toybiz. Repackaged in the traditional bubble/card packaging that we are used to.